Common Issues Solved by Residential Title Insurance - Residential Title & Escrow Co.
Don’t get caught in a tough spot without residential title insurance. The world of residential title insurance can be tricky for those who do not know a lot about it. However, as we have said in our blog, it is very important that you not only invest in residential title insurance, but that you understand it. Today we’re going to be talking about some of the common issues that can be solved with the right residential title insurance. Unfortunately, there are times when honesty is not someone’s policy. Forged documents, stolen identities, and other fallacies can lead to complications with the ownership of your property. Unexpected owners can cause a lot of issues with your ownership down the line. Sometimes you may not know about ancillary owners of your property, limiting your actions. This can also happen with easements you aren’t aware of. Easements can hinder you from getting the most out of your property while also allowing government agencies or other parties to have access to your land. Wills, documentation errors, and surprises can often lead to a dispute over your new home. 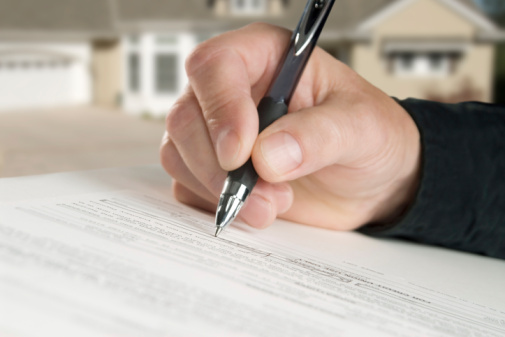 Rather than letting these issues cause trouble, you can protect yourself in advance with residential title insurance. Disagreements about heirs and where the boundaries of your property are can lead to headaches you don’t have to experience. With boundary disputes, other people can take ownership of a portion of your land when you aren’t protected. Residential Title Insurance will protect you. When there is doubt about your claims to ownership, having title insurance will ease your worries. It will give you a clear chain of ownership that will protect your investment. Don’t leave your property to chance. You never know what could have happened in its past. This entry was posted on Friday, July 15th, 2016	at 2:17 pm	and is filed under Title services . You can follow any responses to this entry through the RSS 2.0 feed. Both comments and pings are currently closed.